- Short Story And The Next President Is added to page two of the Short Stories section. Thanks! I'll be sure to put that up on main page of the website! Btw, just finished reading the latest part of Sinners...Saints. Looks like Taz is about to once again get thrown to the wolves--that woman never catches a break--does she? Okay, that was a hoot! The parallels between that election and another one that comes immediately to mind are quite stark. I loved the reporter’s little speech at the end that essentially put the rest of the commentary panel in their place. Thanks, Sam. I'm glad you liked it. Mirandafave here. Not sure if this is the place to post this but here goes anyway apologies if it is untidying your section. Have a few issues with my internet and bit of a block on my current story so had time go messing around with photoshop came up with this little book cover title for your current story. Just for fun and a way to thank you for your comments about the picture I knocked out for Bluefin and of course for an enthralling read. I know you do your own book covers but like I say was frustrated at my lack of movement on my own work so thought I'd try a cover for yours. Not sure about the praying hands but thought they would convey the saints and sinners angle and then the medical symbol caduceus [sp] used because of its moral implications and the nice focus on Dr Wenera so far in the story. Perhaps it would work better with the symbol bigger and the praying hands smaller. Used an oberth alongside a Nebula - a screencap from Generations - as it is as close to the look of the Bluefin as I could get. Fonts and what not are a little off and probably need changing. But sure let us know what you think. Really enjoying hte story by the way. Excellent stuff. I'm loving it. Very cool. I gotta see if I can find space somewhere on StarEagleAdventures.com to post it. I should liaise with you on the cover arts for my upcoming stories. I've been having a hard time figuring out how to design the ones for Eagle V and VI. My only nit-pick with your poster is with the text. The series is actually called The Star Eagle Adventures. I think Star Trek Eagle is already taken. The novel is titled All The Sinners, Saints. Anyway if you let me use your cover art for the website, make sure to slap your credit on there somewhere. Again, cool stuff. Thanks for all the effort. Wow cool glad you like. yeah sorry about the titles - as i said hadn't internet access so couldn't chack baack on the finer details such as that. I'll endeavour to fix that for you. Might be a day or two before I get back to it and get it onto the internet host. As for your upcoming stories i'd only be too happy to liaise. Though I must add I like the covers you do for your stories, especially 'Tempus Fugit' and 'All the Sinners, Saints'. I must congratulate you on All the Sinners, Saints! Even though it's still a work in progress, I felt compelled to chime in and tell you what a great yarn you are spinning. I especially appreciate the care with which you've portrayed the crew of the Bluefin, particularly T'Ser. You're exploring aspects of her character that I had not touched upon, and doing a superb job! In particular, how does a Vulcan raised in human society respond under tremendous pressure? You've struck a nice balance between the "brainy girl from Seattle" and her deeply ingrained Vulcan roots. With no formal Vulcan training, she is reaching deep within to find the mental discipline to bear up under the torture. Will she succeed? Will Vulcan genetics trump her Starbuck's-culture upbringing? That is for you to determine. The antagonists you've created in the Ait/Tiat resonate as well. Rather than the stereotypical "super-aliens" we tend to see, you've created a race mired in civil war and religious strife. (Hmmm, where have we heard that before?) It makes these people more interesting but no less-dangerous. And now factions within Starfleet are vying over these two groups. I guess the war trumps any nod to the Prime Directive. Really good stuff! I also like the triangulation you've established amongst the key Starfleet protagonists: Owens, Schwarzkopf and Akinola - with Owens stuck as the man in-between. This is a very deep-layered story and I'm fascinated by the plot and the character interplay. I'm looking forward to how (if?) you resolve all of these threads. I'm very gratified that you had a chance to catch up with Sinners and more importantly, that you approve of the way I've handled your characters and T'Ser in particular. I was naturally quite concerned about the direction I was taking and if you would agree with it. At the moment I am a bit overwhelmed with the story myself. Even though it is all perfectly on track (yet completely behind schedule) and evolving the way I had envisioned it, I feel a bit intimidated with where it still needs to go. It helps to know that I'm doing your characters justice. As a reader of both series I've stated already over on TrekBBS my two pennies worth that I think it's great how well you treat your own characters and those of the Bluefin. A terrifc job and a tough one too. Yep, the titles all read correctly now. I'm going to find a spot for it on StarEagleAdventures.com. Again thanks for all the work. I might get in touch with you once I'm going to start work on Eagle V. That could be a while though. - A new short story I'll Never Look Into Your Eyes Again added to the second page of the Short Stories section. - Alternate cover art by mirandafave added to the Eagle IV: All The Sinners, Saints page. Thanks CJ, I'll get the main page updated with the new info! Eternal Flame has been removed for revision. I read this story recently and was quite shocked to find out what kind of miserable editing job I've done on this. Quite frankly it is an embarrassment to the rest of the series. I like the plot just fine but grammar, spelling and the overall style are all awful. If you are currently reading this or were planning to, please bare with me until I've had a chance to revise this. Shouldn't take too long.  Crew Statistics added to the Ship Files section. If you like pretty pie charts, check it out! CeJay, where's the revision for Eternal Flame? I was hoping to download it to my eReader so I have time to read it. Tempus Fugit was a nice piece of work, but it was so long since I read it, thought I would do so again...and now waiting for number two in the series. Uhm ... yeah, that seems to be taking ... well ... longer than I thought. I'm still working on the revision but Eagle IV is my priority. I'm almost done with that one though and once I am, the revision will take center stage. * A new short-story The Sins Of The Father, added to the Short Stories section at StarEagleAdventures.com. The story of Michael Owens' rocky road to the captain's chair of the USS Eagle. I was about to start your second tale. Would you recommend I wait for the revised edition? I've been accelerating my efforts getting the revision done. (Thanks for the interest, guys). And I imagine it should be up within the next two weeks. After a lengthy revison process, The Star Eagle Adventures II: Eternal Flame is now available to read or download (MS Word or PDF e-book). Still not my favorite Star Eagle story, this revision marks a definite improvement. 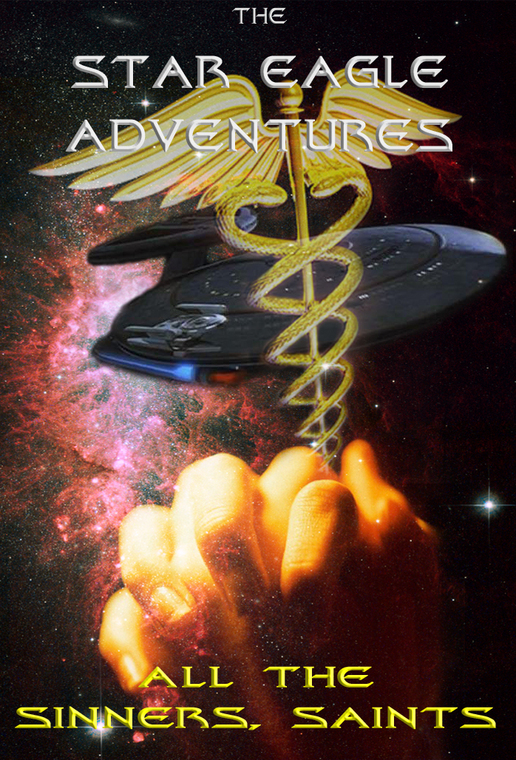 Short Story Lower Deck Tales: Beyond Acheron added to the Short Stories section. Good to hear, CeJay. That's a great story, and you had me going all the way up to the 'big reveal.' ;D Say, would the role of Tam be played by Bruce Willis, perchance? Teaser poster for The Star Eagle Adventures: EVS-2 - Crossing Over revealed.